The federated service center (center of excellence) approach to structuring GRC capability delivers value, especially for larger organizations. 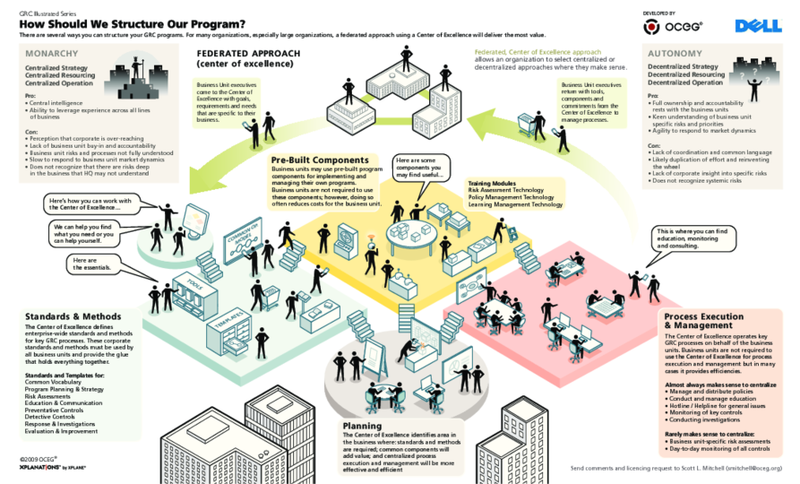 Learn about, and share with your team, the federated service center approach including: standards and methods, pre-build components, planning, and process execution and management. We have emailed instructions to access Illustration – How Should a GRC or Compliance Program be Structured to . Make sure the email arrives in your inbox: either add "support@oceg.org" as a safe sender to your email platform, or if you use Gmail, drag our email into your Primary tab.